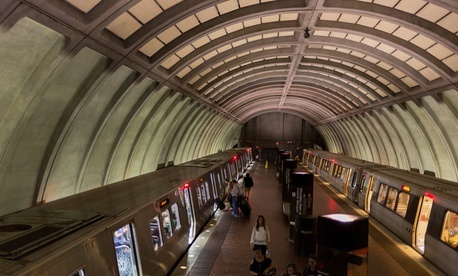 The federal government’s HR agency is encouraging departments to accommodate federal workers in the Washington, D.C., area as the city’s transit agency undertakes a disruptive series of repairs over the next two weeks. The Washington Metropolitan Area Transit Authority, which operates Metrorail, announced last week that between August 11 and August 26, it will perform “around the clock” construction on sections of the Blue, Orange and Silver lines. That project means that along those lines, trains will run only once every 20 minutes. “All Orange, Blue and Silver line customers are encouraged to use alternate transportation and to only use Metrorail if you have no other option,” WMATA said in a statement. On Friday, the Office of Personnel Management issued guidance to agencies on how to mitigate the impact of the Metro work on federal employees in the region. OPM Director Jeff Pon suggested that officials revisit policies used during the year-long SafeTrack maintenance program in 2016 to help workers with their commute. But that guidance comes on the heels of several departments deciding to pull back on telework. Last spring, the Agriculture Department greatly reduced the number of days employees can work remotely, and in June, the Education Department proposed a more restrictive telework policy, which would allow employees to telework only one day per week, and would prohibit employees on alternative work schedules from enrolling in the program. Democratic lawmakers have begun to push back against curbs to telework, introducing legislation that would require agencies to provide stringent justification for any reductions in telework, as well as to set annual goals to improve telework participation. This month’s track work serves as a prelude before a broad effort to reconstruct Metro station platforms, beginning next year. Between Memorial Day and Labor Day 2019, WMATA will close a number of stations in Northern Virginia, in the first phase of what the agency describes as a multi-year plan to rebuild 20 station platforms.